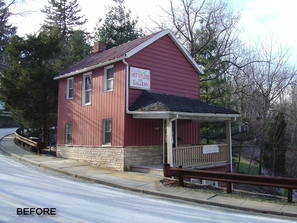 This residence is located in Historic Ellicott City, MD. 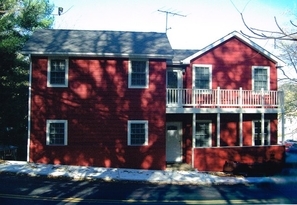 The project consisted of a 2-story addition to be used as a residence on the upper two floors and an artist studio and gallery on the ground floor. Due to existing structural concerns that arose during construction, the building had to be completely gutted down to the foundation and re-built. Historic District submittal and approval was required prior to commencing construction. J-Squared Architect's scope of work included the design, submittal and presentation of drawings to the historic district, construction documents, as well as construction administration and construction management.